Eidos have announced that the Tomb Raider reboot will slip into 2013, joining BioShock Infinite which was also delayed last week. Our priority now is to make sure we fully deliver the very highest quality game. In order to do this, we have decided to move the game’s release date by a few months, from Fall 2012 to the first quarter of 2013. We’re doing things that are completely new to Tomb Raider in this game and the additional development time will allow us to put the finishing touches into the game and polish it to a level that you deserve. So disappointing news but hopefully the extra time in development will pay off in the long run. Unlike Bioshock Infinite, Eidos have confirmed Tomb Raider will still be present at E3 next month. Last year the game was shown during the Microsoft conference and got a very positive reaction. 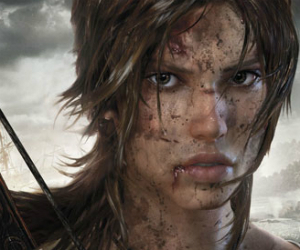 With Tomb Raider falling out of 2012, what game due out this year would you least like to see miss its release date?